If you’re anything like us, then music is the constant that lubricates your existence. From broken hearts to 4.00am at club God-knows-what, song and melody influences our interaction with the world. It’s a personalised soundtrack that conjures an emotive sustenance, a fuel dictating perception and intrigue. Picture then, your programming of an entire room. Not just a room, a runway fashion show, chock full of the world’s fashion elite—designers, icons, models and fans. It’s your job as DJ to not only home in on the designer’s vision but also walk the dangerous line between over the top bangers and entertainment. Seem like a nerve-wracking responsibility? We don’t blame you. Even the hardiest of selectors would shiver at the judging eyes and pomp of the runway elite. 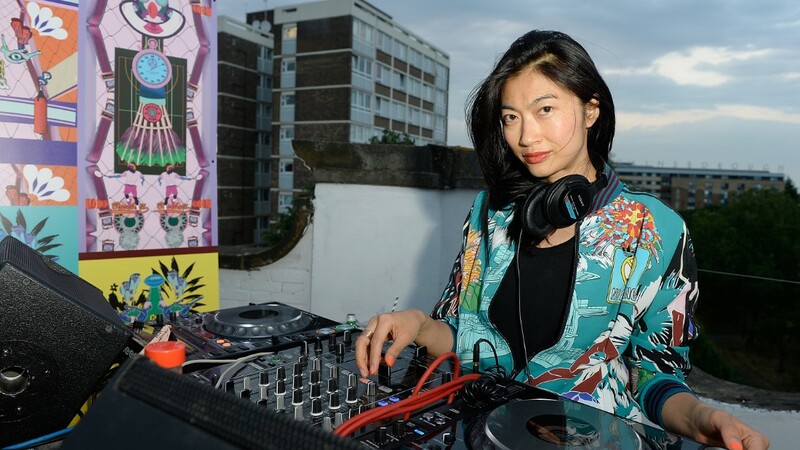 Though there are some who take this prospect in an elegant stride, some like Mimi Xu—director, sound designer and fashion scene DJ. Daughter of famed French-Chinese acoustic architect Albert Yaying Xu, Mimi Xu was exposed to the classical and experimental from an early age. An inorganic introduction to music, Xu rejected her teenage tutelage. Instead, opting for the business side of things—her vocation taking her global, from Europe to Asia, Australia to the United States. It would be several years later in Sydney that Xu would rediscover her love for music—an acquaintance’s large record collection playing catalyst. It’s here that Xu began DJing, coining the Misty Rabbit pseudonym. Not one to be side tracked by genre or overstep the soiree, Xu integrates the vision of the designer into her sets. Conceptually, her track lists work with mood boards, key word signifiers and the designer’s own inspiration. The music, in her opinion, is there to reinforce the garments, not to out-do. Audiences can expect anything from stripped back techno into a Beastie Boys foot stomper—seamlessly woven I might add. Xu’s is a craft spent months in preparation. Crate digging and the meticulous reshuffling of selections an imperative in shaping the perfect audio accompaniment. Through DJing, Xu found her love for the creation of music. The skills she learnt as a teenager helping her to slide effortlessly into sound design and collaborative production. 2017’s Awkward Moments Series is a six-chapter centrepiece that demonstrates the cyclical nature of life—Birth, School, Work, Decay, Death and Rebirth. Via collaboration through different mediums of expression, the Awkward Moments Series aims at entwining the diverse temporal layers of artistic rituals, each opening a door to challenge physical and emotional boundaries. As far as perfect fits go, Mimi Xu has her own virtue in spades.